ONCE rejected by North Korea as "human scum," U.S. President Donald Trump's latest pick for national security adviser has called for regime change in North Korea, prompting worries in Asia ahead of a historic summit between Washington and Pyongyang. "This is worrisome news," said Kim Hack-yong, conservative lawmaker and head of the national defence committee of South Korea's parliament. "North Korea and the United States need to have dialogue but this only fuels worries over whether the talks will ever happen." At Seoul's presidential Blue House, which has been forced to navigate between the unpredictable personalities of leaders in both Pyongyang and Washington, officials were circumspect. "Our stance is that if a new road opens, we have to go that path," a senior Blue House official told reporters. "Bolton has much knowledge on the issues regarding the Korean peninsula and most of all, we know him to be one of the U.S. president's aides who is trusted." He said Chung Eui-yong, South Korea's National Security Office head, had not yet spoken with Bolton and that Chung's reaction to McMaster's dismissal was "not bad". Another administrative official in Seoul expressed regret over the loss of camaraderie McMaster had built with his South Korean counterpart as they had tackled North Korea's nuclear issue together. Bolton had described Trump's plan to meet North Korean leader Kim Jong Un as "diplomatic shock and awe" and said it would be an opportunity to deliver a threat of military action. "I think this session between the two leaders could well be a fairly brief session where Trump says, 'Tell me you have begun total denuclearisation, because we're not going to have protracted negotiations. You can tell me right now or we'll start thinking of something else'", he told Washington's WMAL radio station. "Bolton being tapped for this position makes for a very difficult situation where the U.S.-North Korea summit may not even happen," he said. "It’s going to be a rocky path even before the summit." Pyongyang had no immediate comment about Bolton, whose criticism of then-North Korean leader Kim Jong Il and Pyongyang's human rights record in 2003 spurred state media to call him "human scum and bloodsucker." North Korean officials would not recognise him as a representative of the U.S. government or talk with him because of his "political vulgarity and psychopathological condition", state media said at the time. Bolton's appointment came 10 days after Trump fired Secretary of State Rex Tillerson, another moderating influence, replacing him with CIA director Mike Pompeo. "What security cooperation with China can there be? Nuclear weapons, North Korea, Taiwan, South China Sea, cyberspace … Where is there hope for cooperation?" Shi said. "Trump and Xi Jinping have spoken in public of the logic of cooperation, but with the negative direction of trade and security cooperation, these words seem more and more empty." Zhao Tong, an expert on North Korea and nuclear disarmament at the Carnegie-Tsinghua Center in Beijing, said Bolton’s previous calls for China to pursue regime change in North Korea, as well as for a reunification of the peninsula under the South Korean government, was "very unrealistic". “His views on strategic security issues will reinforce the Chinese convictions that it needs to build up its hard power," Zhao said. Tokyo expressed hopes communication with Washington would go on as normal, with one Japanese government official saying he was "very optimistic" Japan would be able to get along with Bolton as he has many friends inside the Japanese government. 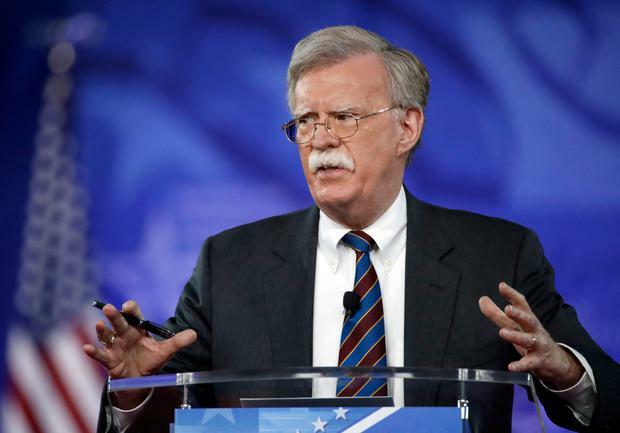 Narushige Michishita, a professor at Tokyo's Graduate Institute for Policy Studies, said Bolton's toughness could present a hurdle in dealing with Pyongyang. "The problem is that he doesn't have any flexibility. That's a negative concern that I have," Michishita said.